Amplificateurs pour casques Il y a 3 produits. 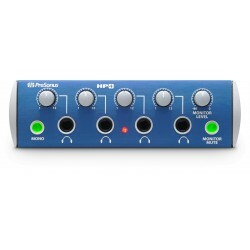 With the PreSonus® HP60 headphone distribution system, you can easily provide headphone mixes the musicians will love. 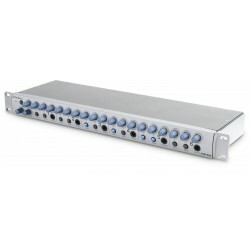 That’s because the HP60 is more than a half-dozen headphone amps; it’s a field-tested, easy-to-use solution to a host of common headphone-monitoring issues. Are you and your session players and bandmates tired of straining to hear underpowered headphones? We were too, so we created the HP4 headphone-distribution system. These headphone amps are louder than you’re ever likely to need for session and stage use, so be careful with that level control! 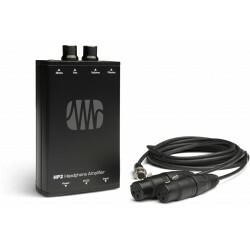 Designed for musicians and performers who demand mobility without compromising audio quality, the HP2 personal headphone amplifier is a great choice for driving wired in-ear monitors, as well as headphones.